Hello ladies! 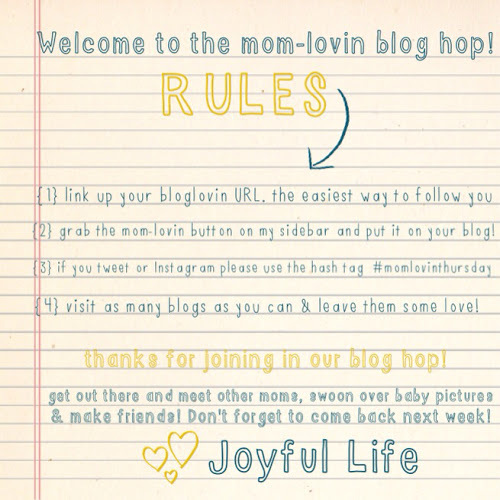 Our host Hannah of Joyful Life has picked a new co-host this week, meet Mia from MossyJojo. 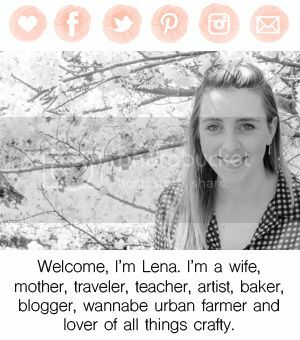 Mia is passionate about design and decoration making her blog one you should miss! Melissa of Fawn Over Baby, the other regular co-host, will hopefully be back in a few weeks. Don't forget to head over to Joyful Life to see who Hannah is featuring this week! Now get ready to link up and meet some other awesome moms!